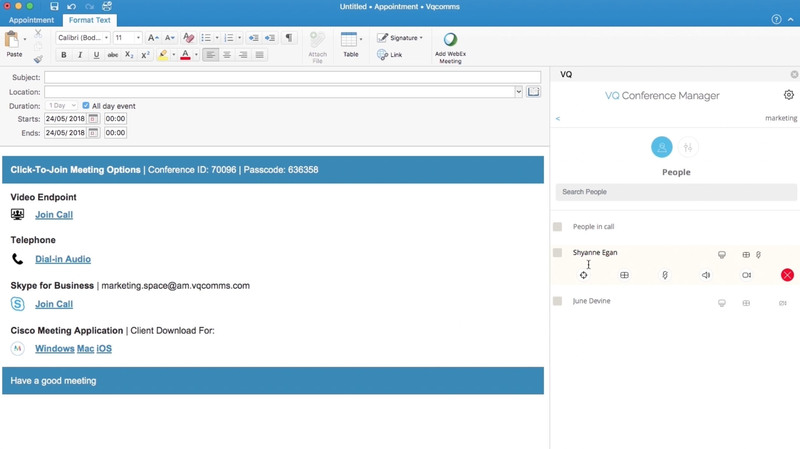 The Cisco Meeting Server hardware supports tiered services, VQ Conference Manager provides the tools you need to set them up including passcode creation and management for Meeting Spaces without using the CMS API. 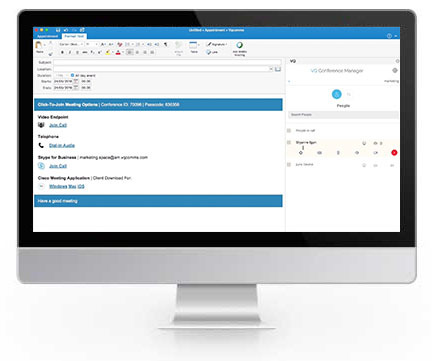 VQ Conference Manager takes away this overhead, by providing a proven, ready-made solution. 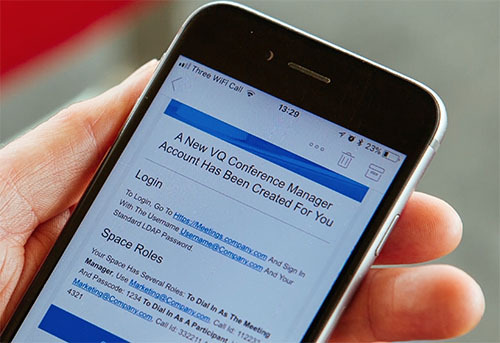 VQ Conference Manager sits at the heart of the productivity tools people already use: Microsoft Outlook. 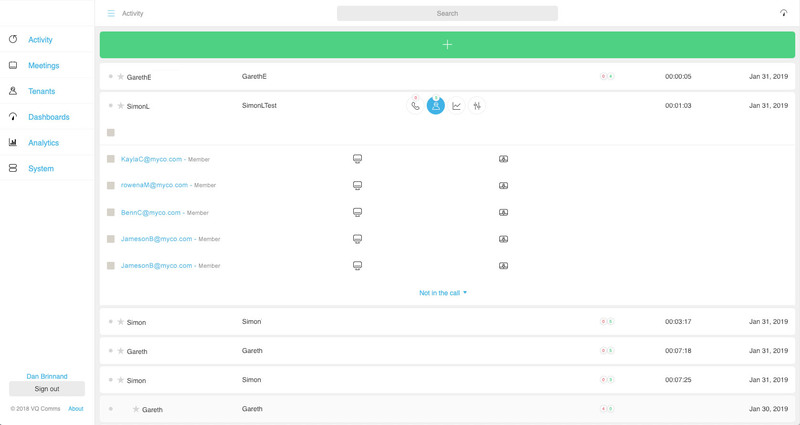 This gives end users the ability to manage their virtual meeting Spaces, change passcodes and control their in-flight calls – all without leaving the familiar surrounds of Outlook. 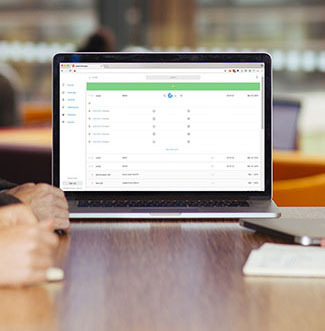 VQ Conference Manager gives your operations team the tools they need to monitor and control individual calls, enabling them to deliver ‘white glove’ service for high-priority conferences. 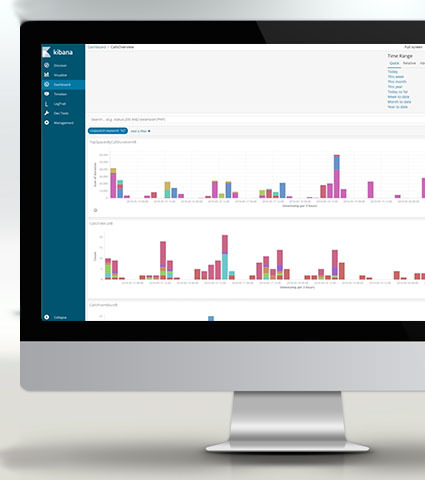 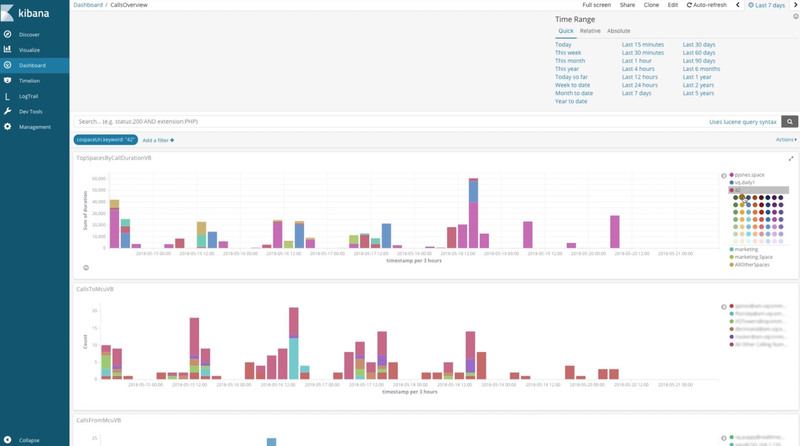 VQ Conference Manager 3 includes state-of-the-art Analytics based on Elasticsearch and Kibana that provide insights to all parts of your prospect’s business: from high-level management reports for the C-level, down to granular operational data for the team administering the service.